The West Yorkshire Regiment (Prince of Wales’s Own) (14th Foot) was an infantry regiment of the British Army. In 1958 it amalgamated with The East Yorkshire Regiment (15th Foot) to form The Prince of Wales’s Own Regiment of Yorkshire. On 6 June 2006 The regiment was amalgamated with the Green Howards and the Duke of Wellington’s Regiment (West Riding) to form the Yorkshire Regiment (14th/15th, 19th and 33rd/76th Foot). The regiment was raised by Sir Edward Hales in 1685 by order of King James II. One of the nine new regiments of foot, raised to meet the Monmouth rebellion it was termed Hales’s Regiment. The regiment served in Flanders between 1693 and 1696 and gained its first battle honour at Namur in 1695. In 1694 the regiment took precedence as the 14th Regiment of Foot. 1715 saw the regiment moved to Scotland to fight the Jacobite Rebellion. In 1727 the regiment played a major part in defending Gibraltar against the Spanish, where it remained garrisoned for the next 15 years. 1745 saw the regiment in Flanders fighting at Fontenoy before being recalled to Scotland to fight ’45 Rebellion. Fighting at Falkirk and Culloden, becoming the 14th of Foot in 1751. The regiment returned to Gibraltar in 1751 for another 8 year stay. In 1759, when stationed at Windsor, it was granted royal permission to wear the White Horse of Hanover signifying the favour of the King. In 1768, the regiment under Lieutenant Colonel William Dalrymple, arrived in Boston via Halifax, during the crisis surrounding the Townshend Acts. In a show of force, the 14th and 29th were marched though the town to erect a tent city on Boston Common. Detachments of the two regiments were sent to take possession of Faneuil Hall, the “unofficial” headquarters of the Sons of Liberty where they seized all of the firearms stored there. In 1770 the 14th although at the ready in their barracks did not play a part in the “Boston Massacre”. Captain Thomas (29th Foot) was the officer of the day in charge of the duty detail (29th of Foot) that faced the crowds outside of the Customs House. The crowd that gathered began taunting the detail until a shot, then volley was fired into the crowd, three civilians were killed outright and two more died later. Captain Preston and the detail went to trial and were defended (successfully) by Lawyer John Adams thus ending tensions between the crown and the citizens of Boston for the time being. The 14th would remain part of the Boston Garrison until 1772. In 1772, the 14th arrived in St Vincent as part of the force to subjugate the maroons. Due to bush fighting and disease the regiment is depleted in numbers, it stayed for two years and is then scheduled to return to England in 1774. In 1775, General Gage orders the Providence Island, Bahamas company of the 14th along with a detachment of “not less than 60 men” to be drawn from the regiment at St Augustine, Florida to Virginia. On 6 November, a stockade fort (Fort Murray) is finished just northeast of the great bridge on a small island in the marsh. On 16 November, Lord Dunmore marches 350 troops consisting of the 14th of Foote, Royal Marines, Seamen, Queen’s Loyal Virginians (Loyalist), Norfolk Militia of Loyalist and Loyal Ethiopians (ex slaves) to Kemp’s Landing. A short successful engagement is fought and heartily won. On 28 November, Lt Wallace, one sergeant, one corporal, 25 soldiers, loyalist and loyal Ethiopians defend against the first rebel attack on the fort. On 9 December, the 14th leads the assault, at the bridge they replace the planks that had been previously removed (to keep the rebels from crossing) and cross the bridge. The bridge was no wider than to allow 6 abreast, therefore, a battle line could not be formed until the troops were on the other side. Upon seeing the troops crossing the bridge, rebel sentries fire three rounds alerting the main force. While the bridge planks were being replaced (taking some time) the rebel forces begin a series of heavy volley fire. As the troops filter over the bridge they form a line and begin to advance. At 50 yards the rebels lay down a devastating fire and force the British to falter and fall back. Captain Fordyce rallies the troops and again advances, again there is a devastating fire. Captain Fordyce along with two Lieutenants are killed. At this point the line breaks. There is a general retreat across the bridge to the fort. Men of the Culpepper Minute Battalion follow over the bridge and continue firing on the retreating troops. As the day goes on, the rebels come out to the field of battle and care for the wounded of both sides. Captain Leslie will later come out to the front of the fort and bow to the rebels in thanks for care of the wounded. Lord Dunmore reports only 50 men killed but from the blood and carnage on the field, bridge and fort, the rebels estimates there were many more. That evening the British abandon the stockade and return to Norfolk. Although the town is fortified, it was mostly situated on the sea side, were there is little threat (continental navy?). Because the town is so indefensible, it is soon abandoned. The retreat from the town is so swift that twenty cannons are left and spiked. The town’s loyalists are offered a chance to escape, they all board choose to board the ships of the fleet (also known as Dunmore’s floating town). Having so many people on the ships of the fleet, shortages were felt almost immediately and health deteriorated quickly. More time would used in acquiring food and water than were used in service of quelling open rebellion in the colony. In late December, the war ship HMS Liverpool arrives giving the fleet enough firepower for Lord Dunmore make demands on the rebels. Lord Dunmore under a flag of truce reenters Norfolk. He demands food and water or he will use the firepower of the fleet against Norfolk. The rebels refuse. On 31 December, Lord Dunmore warns all women, children and loyalist to evacuate Norfolk as soon as possible. Evacuating troops burn 19 buildings on the wharf were snipers are thought to be. The fire spreads toward the rebels, this emboldens the rebel troops to burn and pillage more. At dawn on 1 January 1776, the fleet opens fire on the town. Between the firing (burning) of the buildings and the fleet firing on the town, Norfolk burns for three days. 863 buildings were destroyed. After the fleet leaves, the rebels reoccupy what remains of the town but soon decide to burn even that to keep Lord Dunmore from using it. After all was said and done, 1,298 buildings were destroyed and the 5th largest city in colonial America ceased to exist. After Norfolk,the fleet leaves for Turkey Point near Portsmouth were it would base operations. While at Turkey Point there were a series of small raids and skirmishes. The fleet would stay at Turkey point only until late May when it would leave for Gwynn’s Island. 1 June The fleet arrived at Gwynn’s Island. Here, more small raids were carried out. 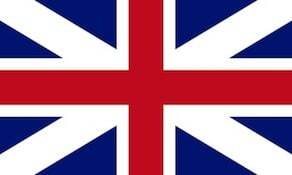 4 July The colonies make the split with Britain official when they ratify the “Declaration of Independence”. Lord Dunmore finally bows to the inevitable. There would be no reinforcements from New York, (due to politics at the main British Command). Rebel forces had forced his troops and government from Gwynn’s Island and famine, decease and battle had taken their toll on the troops. Virginia was lost. In August, the fleet withdrew from the Chesapeake and headed to New York. The 14th was withdrawn from service, it being severely under strength from its disease and battle in both the Caribbean and Virginia. In New York the remaining men of the regiment where used to supplement other regiments in the area. The officers and music were sent back to Britain to recruit a new regiment. In 1777, while in training in England, one company of the 14th and one company of the 15th Regiments were placed under the command of Col. Patrick Ferguson and sent to America to test the concept of the rifle company with the Col’s. new rifle. The rifle companies fought well in the battle of Brandywine in Pennsylvania on 11 September. After the experimental rifle companies were returned to England they were made the light companies of there respective regiments, thus ended the 14th Regiments participation in the American Revolution. In 1782 the 14th was named The 14th (Bedfordshire) Regiment. With the arrival of the French Revolution and the subsequent French invasion of the Low Countries caused troops to be sent to protect trade interests. The 14th gained its second battle honour around Lille. In 1793 at the battle of Famars in Flanders the 14th became the only regiment ever to win its regimental march in battle. It is the French revolutionary song “Ca Ira”. They returned to England in 1795, then the Regiment was posted to the West Indies where it was on duty until 1803. In February 1797 the regiment participated in the bloodless invasion of Trinidad. 1803 saw the outbreak of the Napoleonic Wars, the British Army was expanded and the 14th formed a second battalion in Belfast in 1804. In 1808-9, the 2nd Battalion joined the Peninsular Army and gained the Battle Honour “Corunna” The 2/14th saw service in the Walcheren Campaign and was disbanded in 1817. The 1st Battalion spent much of the war on garrison duty in Bengal. In 1809 the Regiment was re-titled The 14th (Buckinghamshire) Regiment. The 1/14th served in India for 25 years until 1831. A third battalion was formed in 1813 and fought at the Battle of Waterloo in 1815. The 3/14th was disbanded in 1816. Apart from taking part in campaigns against the French in Mauritius in 1810 and the Dutch in Java in 1811, the latter adding another Battle Honour. The 14th then were posted to the West Indies, Canada, Malta and in 1855 the Regiment the served in the Crimean war. In 1876 the Prince of Wales, presented new Colours to the 1st Battalion and conferred on the 14th the honoured title of The Prince of Wales’s Own. 1858 saw a second battalion raised once more and took part in the New Zealand Wars of 1860-6 and the Second Anglo-Afghan War 1879-80. During 1880 the British army saw major changes, The “Childers Reforms”. The 14th was given the title “The Prince of Wales’s Own (West Yorkshire Regiment)”. The Depot of the 14th was established at York. 1899 saw the 2nd Battalion sent to the Second Boer War 1899-1902 in South Africa and after a number of engagements two members of the Battalion were awarded the Victoria Cross: Captain (later Colonel) Mansel-Jones in February 1900, and Sergeant Traynor in February 1901. The 1st, 2nd and 3rd Volunteer Battalions sent service companies to the Boer War and were granted the battle honour South Africa 1900–02. World War I saw numerous battalions of The Prince of Wales’s Own (West Yorkshire Regiment) serving at Neuve-Chappelle, Loos, the Somme, Passchendaele, Ypres, Marne, Arras, Cambrai and Gallipoli. At its peak The West Yorkshire Regiment numbered 37 battalions, 66 Battle Honours were bestowed and four Victoria Crosses were awarded. The four TF battalions formed the West Yorkshire Brigade, which mobilised as 146 Brigade, 49th (West Riding) Infantry Division on the outbreak of World War I and served in France 1915–18. They raised duplicate battalions (2/5th, 2/6th, 2/7th, 2/8th) that constituted 185 Bde in 62nd (2nd West Riding) Division, which also served in France 1917–18. In 1915 they formed further reserve battalions (3/5th, 3/6th, 3/7th, 3/8th) that served in the British Isles. The interwar years saw the Regular battalions serving in Germany, India, Kurdistan, Sudan, Palestine, Jamaica and Bermuda. In the Second World War, The 1st Battalion served in the Far East, The 2nd Battalion served in Africa and subsequently in the Far East and the various other battalions served in Iceland, France, Antwerp, the Scilly Isles, the Falkland Islands and as Home Defence. In 1936 the 8th (Leeds Rifles) Bn transferred to the Royal Artillery as 66th (Leeds Rifles, The West Yorkshire Regiment) Anti-Aircraft Brigade. In 1937 the 6th Bn became 49th (The West Yorkshire Regiment) Anti-Aircraft Battalion of the Royal Engineers, converting to a searchlight regiment of the Royal Artillery in 1940. In April 1938 the 7th (Leeds Rifles) Bn converted to the armoured role as 45th (Leeds Rifles) Bn, Royal Tank Regiment. In June 1939, the company at Morley was split off to form the cadre for a duplicate unit, the 51st (Leeds Rifles) Bn, Royal Tank Regiment. In 1942 2/5th Battalion West Yorkshire Regiment was converted to armour, becoming 113th Regiment Royal Armoured Corps. They continued to wear their West Yorkshire cap badge on the black beret of the RAC. 51st (Leeds Rifles) RTR served in 25th Army Tank Brigade in the Italian campaign under the command of Brigadier Noel Tetley of the Leeds Rifles, who was the only Territorial Army RTR officer to command a brigade on active service. The regiment distinguished itself in support of the 1st Canadian Infantry Division in the assault on the Adolf Hitler Line in May 1944. At the request of the Canadians, 51 RTR adopted the Maple Leaf as an additional badge, which is still worn by its successors, the Leeds Detachment (Leeds Rifles), Imphal (PWO) Company, The East and West Riding Regiment. In 1948 the 1st and 2nd Battalions were amalgamated and were stationed in Austria. They then moved to Egypt and on to Malaya. After a tour of duty in Northern Ireland in 1955-56, the 1st Battalion took part in the Suez Operation and was then stationed in Dover until the amalgamation in July 1958. In 1956 the merged 45th/51st (Leeds Rifles) RTR returned to the infantry role as 7th (Leeds Rifles) Bn West Yorkshire Regt and in 1961 it re-absorbed the 466th (Leeds Rifles) Light Anti-Aircraft Regt, RA, to form The Leeds Rifles, The Prince of Wales’s Own Regiment of Yorkshire.